Middelfart City Hall is expected to become the second city hall in Denmark to receive a platinum DGNB certification for green construction. With the construction of its new City Hall, Middelfart Municipality is setting a new standard in Denmark for sustainable public buildings. The municipality has not only integrated the previously dispersed administration departments into one location, but also turned the City Hall into a local cultural center open to the public even after office hours. 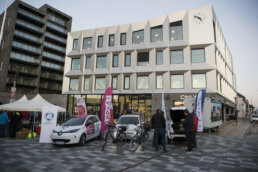 The City Hall is built according to the Danish BR-2020 standard and is expected to cut CO2 emissions by 34% with more sustainable construction materials and energy-efficient installations, compared to the 2015 standard. A life-cycle analysis of the building has been conducted and all materials have been assessed for future recycling. The construction materials chosen are also easy to disassemble, replace and reuse. A total area of 700 m2 of solar panels generates electricity for the building, while the building’s sunlight protection, seawater cooling system and heat recovery for district heating further reduce energy use. Soundproof windows, walls, carpets and ceilings have been installed to improve the office environment. Municipal staff are also encouraged to build sustainable habits through a new waste sorting system. Annual savings of 800,000 EUR are projected as a result of integrating all administrative departments into the new, energy efficient City Hall. A screening of all building materials used shows that almost 50% of the undesirable substances identified by the Danish EPA in the Danish building sector have been eliminated, and 8% significantly reduced. In addition to solar panels, a seawater cooling system with heat recovery, energy demand is optimized through automatic lighting, zoned ventilation and automatic window blinds. Located near the coast, Middelfart City Hall is at risk of flooding. The building is therefore designed to withstand extreme weather, including a 1-in-100-year flood. 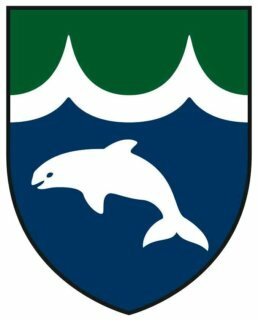 Middelfart is a town in central Denmark, with a population of 14,815.